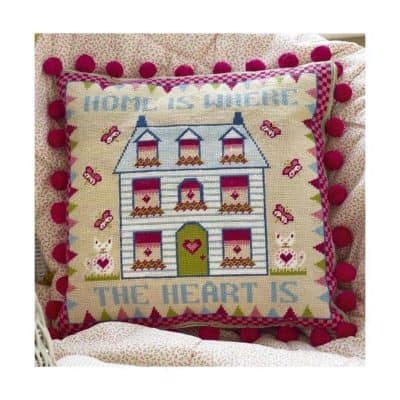 A dreamy country house featuring a heartfelt saying. Its vibrant and pretty colours would brighten many interiors. We use quality Zweigart fabric which is one of the best fabrics you can buy and we have the design digitally printed to obtain the highest standard possible. We also supply a colour printed chart so that the project can be completed by either following the printed canvas or, by using the blank side of the canvas, using the colour chart. 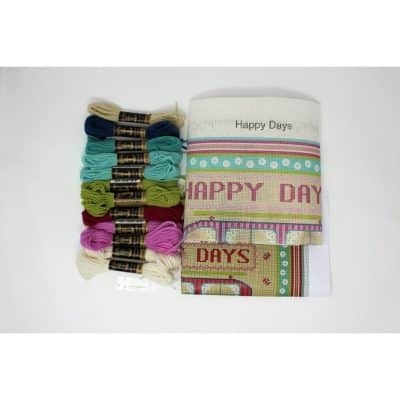 We supply plenty of Anchor tapestry wool - enough to stitch with the recommended stitch technique - half cross-stitch. Full instructions are also provided.